'¡^here's ilo single best way to set up your workshop. 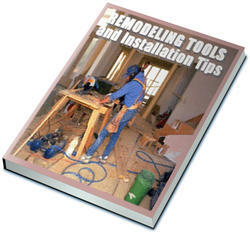 Since every handyman has unique interests, needs and resources, the trick to constructing a workshop that works for you is to learn to understand your needs and to maximize your resources. Start with your shop space—for most of us, a room in the basement or part of a garage. Draw ;i sketch of your shop area as it exists, Take measurements and include your main shop tools and work or storage areas. Often, just the simple exercise of sketching will reveal inefficiencies in the layout or suggest better arrangements. Be sure to include power sources, windows and doors in the drawing, as well as lights and any built-in fixtures, like shelving and wall cabinets. Once you've drawn your existing shop, make a wish list of tools, accessories and systems you'd like to add over the next tew years, including finishing booths, dust collection systems and lumber storage or drying areas. Compare that list to your current shop space. Can every tiling possibly fit? If not, you may want to amend your wish list, or look for ways to replace single-purpose tools with multi-purpose work areas that conserve space. 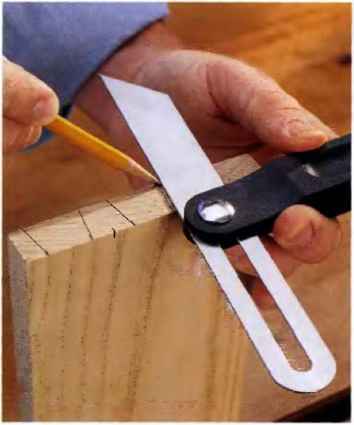 For ex;imple, consider replacing your old radial-arm saw with a sliding compound miter saw, or perhaps you might roplaco one or two of your larger stationary tools with smaller benchtop versions. Pay ¡attention to the space around tools as you plan, making sure to allow-enough room to use each tool effectively and safely. Refer to your plan on a regular basis, and update it as your needs and circumstances change.